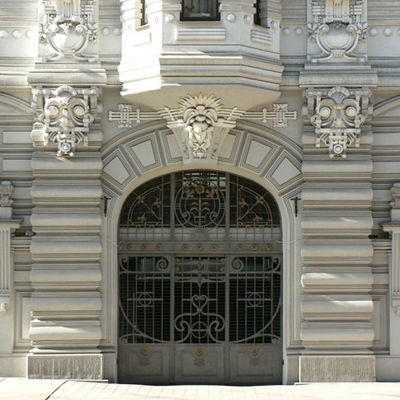 Architect: Mikhail Eisenstein, 1904. 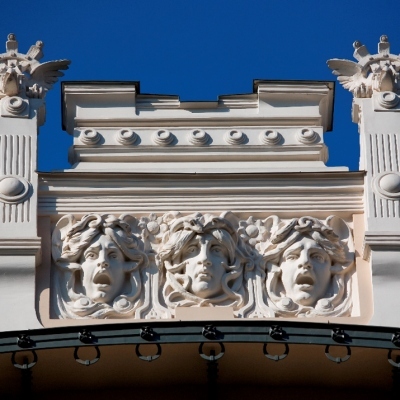 This building at Alberta Street 13 is one of Riga’s most notable art nouveau monuments. Architect: Mihails Eizenšteins, 1904. 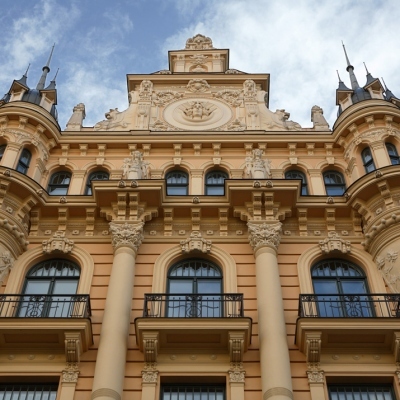 Riga’s most elegant and artistically most original eclectically decorative art nouveau building. Architect: Konstantīns Peksēns, 1903. 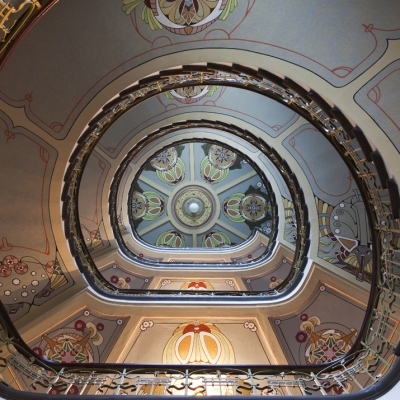 This building contains one of the most beautiful and impressing winding staircases to be found in any of Riga’s art nouveau buildings. The building is also home to an art nouveau museum. Architect: Mihails Eizenšteins, 1903. 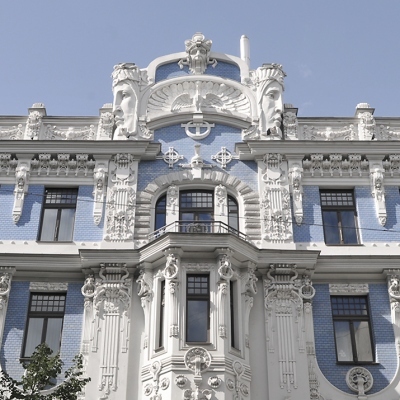 Restored in 2000, this building at Elizabetes Street 10b is one of the most impressive early examples of art nouveau. 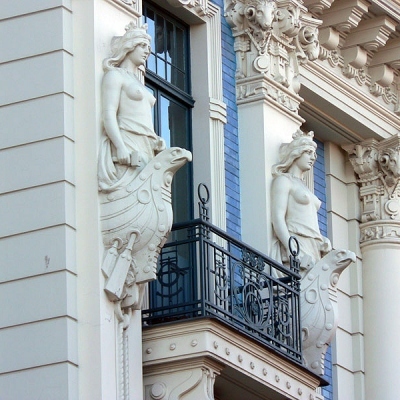 A typical feature of Art Nouveau building façades - elegant balconies and bay windows, positioned in the centre of the building above the passage way or symetrically on both sides of the façade above the entrance. 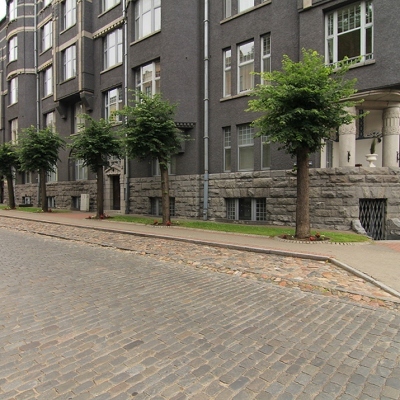 Right through to the present day, many streets in Riga are still paved with cobbled paving stones, which are ideally suited to the process of shooting historical films.